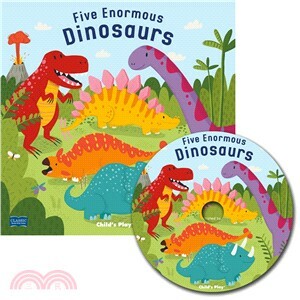 Five enormous dinosaurs, letting out a roar. One stomped away... and then there were four! Children will love stomping, roaring and singing along to this fun rhyme, which will help to develop number skills. Bouncy illustrations, innovative die cutting and popular rhymes make Books with Holes a must for every child.